Justin Childress, author of The Steam Punk, was kind enough to drop by the blog today to answer a few of my questions. 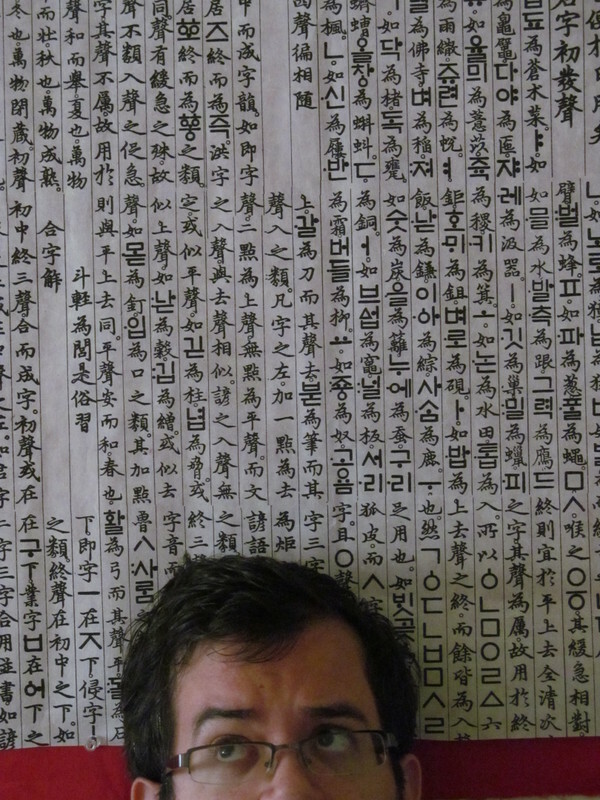 Justin studied English in Arizona but currently resides in South Korea where he is a university professor. Which authors have inspired you the most? Stephen King, Clive Barker, and HP Lovecraft. They're most well-known for writing horror, but King and Barker also have deep roots in fantasy, which is what I usually write, and Lovecraft's stuff is pretty epic in scope. Well, I dictated stories to my parents before I knew the alphabet, so that should've been a tip-off, but I didn't actually figure it out until I was in my teens. And even then it just seemed like it could never be anything but a hobby. Like a lot of kids, I was passively told in school that I shouldn't pursue art seriously because I "Couldn't get a career doing THAT," so it never really occurred to me that I could be a writer until a lot later. How does your everyday life influence how or what you write? Well, I've been a teacher for years, so I mainly write for the young adult (YA) crowd, and my books generally tend to feature young-ish protagonists. 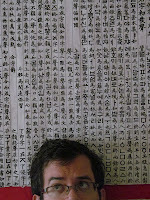 Thankfully I have a cushy job as an English professor at a university in Korea, so I have lots of spare time to write. Always. If I don't have at least one or two books I'm working on now, with another three or four or five in the pipe, something's amiss. My current focus is spent on polishing the final draft of a YA/urban fantasy/action-adventure novel that draws a lot of inspiration from "Indiana Jones," and the pulp serials of the twenties and thirties, and the sequel to "The Steam Punk." Taking an empty page and filling it with stuff. First there's nothing, then there's a world filled with cities, characters, stories, all that. The whole writing process is fun, but first starting a new book and setting everything up is a huge thrill. Finishing a book is also very satisfying. The sometimes crippling self-doubt that plagues the entire process. Especially in the first draft. I write my first drafts in a vacuum, all on my lonesome, and it's hard to be objective about the story and characters and whatnot when you're by yourself. Is it bad or am I being too hard on myself? Is it good or am I being over-confident? What if nobody likes it? What if somebody else is already writing this same type of story? It's a serious bummer and it never goes away. What was your inspiration for your book, "The Steam Punk"? I always loved steampunk as a genre, but a lot of the steampunk books I saw were just people with top hats and waistcoats, without any of the gritty, fringe elements that are supposed to be there as well. I also haven't seen a lot of superhero literature. That's probably because that genre lends itself to more visual mediums like comics (where it originates from) but you can never have enough superheroes. So I wanted to make a real steampunk book with characters on the edges of society, fighting against established norms, and superheroes. "The Steam Punk," is the result of that. The best advice I can give is Stephen King's advice: "Read every day, and write every day." I'd also add to that a few other things, like "Be critical of your own work, but don't beat yourself up," and "Listen to honest, constructive criticism, but ignore hate," and things in that vein. But most of all, have fun. That's really what it boils down to. If you're not having fun writing it, I'm not going to have fun reading it. Make it a work of passion, not obligation. That's where the best art comes from: passion. I hope that helps. I'm still trying to figure all this stuff out myself. Happy Follow Friday #111, make a wish! 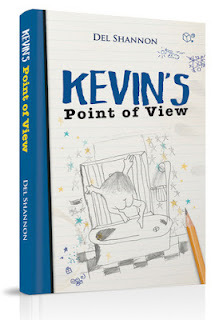 A: The worst cover of a book that I read and loved would probably be Kevin's Point of View, which I did a review for. I think I remember hearing that a kid drew the picture and the author included it on the cover, a while ago he was trying to raise enough money to print a new edition with a different cover, but I'm not sure how things are going with that. New York, NY (August 21, 2012) – World Weaver Press (Eileen Wiedbrauk, Editor-in-Chief) has announced Shards of History, debut novel by author Rebecca Roland and their first full-length publication as a small press, is available as a digital edition today, Tuesday, August 21st. Shards of History is available via Amazon.com, BarnesandNoble.com, Kobo.com, and other ebook retailers. You can also find Shards of History on Goodreads. Like all Taakwa, Malia fears the fierce winged creatures known as Jeguduns who live in the cliffs surrounding her valley. When the river dries up and Malia is forced to scavenge farther from the village than normal, she discovers a Jegudun, injured and in need of help. Malia’s existence--her status as clan mother in training, her marriage, her very life in the village--is threatened by her choice to befriend the Jegudun. But she’s the only Taakwa who knows the truth: that the threat to her people is much bigger and much more malicious than the Jeguduns who’ve lived alongside them for decades. Lurking on the edge of the valley is an Outsider army seeking to plunder and destroy the Taakwa, and it’s only a matter of time before the Outsiders find a way through the magic that protects the valley--a magic that can only be created by Taakwa and Jeguduns working together. 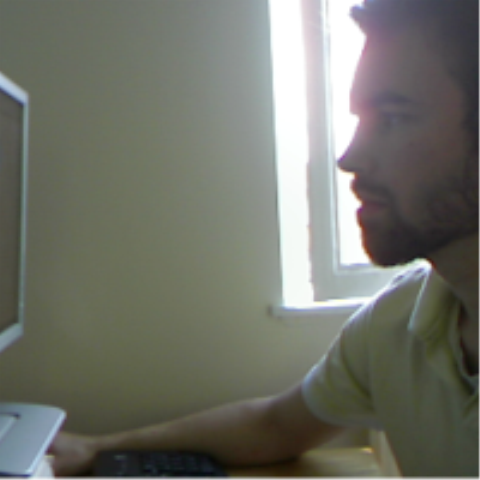 Today I am glad to introduce Stuart Wilson, author of Cyberfreak Debt, to the blog today! Stuart was kind enough to answer a few of my questions. 1. When did you first know you wanted to be a writer? About the age of 15 - I think you have a lot of frustration with things - parents, teachers, companies, even governments - when you're in your teens and you just think "what are they all doing?". That's when I realised I could really make an impact and influence people by writing (mainly fake sick notes to get out of school, but I progressed as you'll see!). 2. What authors have inspired you the most? Stephen King - He's the one I feel taught me my craft, his technique is just so so good and something I studied for years to get to the standard I reached today. Terry Pratchett too - there's underlying jokes and humour in Cyberfreak Debt which all stem from my love of reading his stuff and laughing my head off. I think writing is really about sending a good message in an entertaining way, so that's the main aim of my book. 3. Is Cyberfreak Debt your first book? No. I've spent a good few years writing others but they're all locked away in the recesses of my hard drive. I thought each one would be my big break, but really that was all just honing my skills, sharpening my claws for this one. Cyberfreak Debt is all my best ideas rolled into one mind-blowing tale. But I couldn't have written this out of the blue. I don't regret all the time I spent working on other stories because that was what made this the story it is today! 4. What was your inspiration for Cyberfreak Debt. 5. What is your favorite thing about being a writer? Speaking to people who have read my work - it's honestly magical. It's the readers who bring stories to life. When they talk about it with the same enthusiasm I had when writing it I know I've done my job. It's a great feeling. 6. What is your least favorite part of being a writer? It takes such a long time to produce a real quality piece of work - Cyberfreak Debt for example took two years of writing pretty much every day. It's normally hard to hold the vision of the end product long enough to stay motivated, but in this case that was never a problem so I was lucky. It's been a slog in the past but with this one I was pretty much flying over the keyboard. I think that enjoyment is evident in the story. 7. Are you currently working on any other projects? In my head I'm always working on something; there's post-it notes all over my house with ideas on (it looks like a crazy person lives here, and if you read the book you might just agree with that! ), but at the moment I'm focusing totally on promoting Cyberfreak Debt since it's got the potential to make a real impact on people and I want to make sure everyone gets the opportunity to read it! 8. What was the best advice on writing you have ever been given? Every writer needs a mentor. Do your best to find one, and always be able to take their harsh criticism and learn from it. If they don't critique you harshly enough, then you need a new mentor to bring out your very best! Today I am glad to be a stop on the Blog Tour for Shards of History. 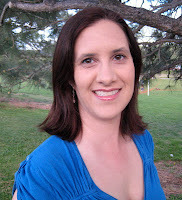 The author, Rebecca Roland, was kind enough to answer a few of my questions. I've written off and on since I was a kid, but I didn't start writing with the intention of publication until 2005 or 2006. That was when I joined an online writing community and began maneuvering the ins and outs of short story and novel publication as well as the craft of writing. I started off writing a couple of novels because that was what I read and enjoyed. I wasn't much of a short story writer or reader back then. I actually sent out a few queries after I finished the novel. I'm rather embarrassed now to think of what I sent out back then. It wasn't very good. I was fortunate enough to get a scrawled noted on a form rejection from Barbara Bova that helped point out one of my writing weaknesses. I put the novel in a drawer and began writing short stories to work on the craft. There are so many! I love the character of Miles Vorkosigan in the Vorkosigan series by Lois McMaster Bujold. Stephen King is good at atmosphere, writing quirky characters, and taking our terrors and inspecting them with a magnifying glass until chills run down your arms and the hairs on the back of your neck stand up. I wish I could write prose like Ray Bradbury and Margaret Atwood. How would you describe the process of writing Shards of History in three words? What was your inspiration for Shards of History? The novel started out as a short story written at the Odyssey Writing Workshop. I needed to turn in a story in a couple of days and was starting to sweat bullets trying to come up with something to write about. My subconscious came to the rescue when it provided me with a dream about towering, steep cliffs and houses built in them with no discernible way to get to them. I wondered what sort of people would live in such a place and then realized that nobody human would. That led to the Jeguduns, which led, eventually, to the rest of the story. I recently sold two short stories. Yay, me! So I feel the need to write more to send out. But I'm also working on a YA urban fantasy novel that I'm trying to wrap up by the middle of December. I enjoy learning new things when I research for a story. Some of my favorite bits of research have included learning about Teddy Boys in 1950's London and the history of CPR. Which character do you most enjoy writing about in Shards of History? I loved writing the Jeguduns. It was like coming up with an alien species. How did you come up with the idea for the Jeguduns? The first thing I came up with when I had that dream about the cliff houses was winged humans, but that felt clichéd, not to mention how improbable it would be to come up with biologically possible winged humans. They'd have to be smaller, among several other issues. So I figured I'd come up with a different species. I wanted the Jeguduns to be sort of like living gargoyles that would protect the valley. So they became part bird, part human, and a teensy bit wolfish. If you'd like to see your work published, keep at it. It takes perseverance to spend years working at the craft and to keep on submitting when you've received dozens or hundreds of rejections. I had over a hundred rejections before I sold my first story. Only she knows the truth that can save her people. Like all Taakwa, Malia fears the fierce winged creatures known as Jeguduns who live in the cliffs surrounding her valley. When the river dries up and Malia is forced to scavenge farther from the village than normal, she discovers a Jegudun, injured and in need of help. Malia’s existence — her status as clan mother in training, her marriage, her very life in the village — is threatened by her choice to befriend the Jegudun. But she’s the only Taakwa who knows the truth: that the threat to her people is much bigger and much more malicious than the Jeguduns who’ve lived alongside them for decades. Lurking on the edge of the valley is an Outsider army seeking to plunder and destroy the Taakwa, and it’s only a matter of time before the Outsiders find a way through the magic that protects the valley — a magic that can only be created by Taakwa and Jeguduns working together. Now Malia is in a race against time. She must warn the Jeguduns that the Taakwa march against them and somehow convince the Taakwa that their real enemy isn’t who they think it is before the Outsiders find a way into the valley and destroy everything she holds dear. A: Well I know it doesn't HAVE to be a book blogger, but one blog that has helped me tremendously as a blogger is Rachel @ Parajunkee. I read her Book Blogging 101 every week and it has answered many of my questions and brought to my attention things I wouldn't have thought of. A second blog that inspires me is an author blog promoting The Trauma Tool Kit: Healing PTSD from the inside out. 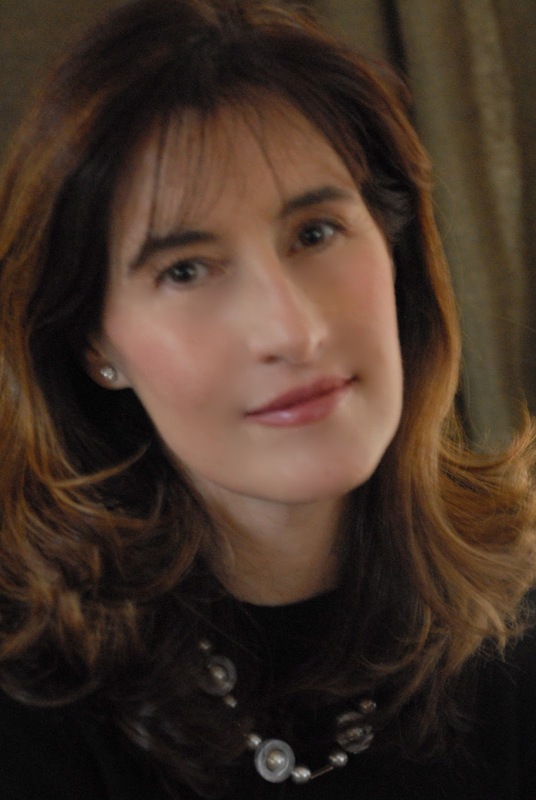 The author, Susan Pease Banitt, doesn't only promote her book but has many great posts on PTSD (post traumatic stress disorder)and I find her dedication to helping others very inspiring. I'm sure there are a ton of other bloggers that have inspired me in some way, but if I had to list every one I'd be here all night! People often ask writers how they come up with their characters. Are they based off real people or are they entirely fictional? For me, it’s normally a mix of both. I might give a character the first name of one friend or the last name of another. The bad guy might have the same name as the nasty customer I had to deal with at work that day. And sometimes characters completely create themselves. But I have to admit, that the characters in Phantom were inspired by the people around me more than any other book I have written. 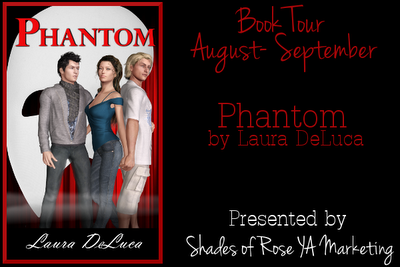 I thought it would be fun to introduce some of the people who helped make Phantom one of my favorite novels so far. Rebecca Hope-Rebecca is the main character, and she gets the lead role of Christine in the play. She isn't really based on anyone in particular, but I did give her a few of my own characteristics. In the first chapter, I mention that she was normally hiding in the orchestra with her violin instead of trying out for a role. That was totally me in high school. I was always too shy to try out for the musicals, even though I really wanted to. But unlike Becca, I was actually a much better violinist than a singer anyway, so I was better off where I was. She also shares my nervous energy, and of course, we are both obsessed with the Phantom of the Opera in all its incarnations. Jay Kopp - In my book, Jay Kopp is the class clown. The one making jokes at all the wrong times, and who thinks he is a whole lot cooler than he really is. The real Jay Kopp is not much different. Instead of the class clown, he is the office clown. Here is a man who is in his forties, but still makes faces behind the executive president's back while he's handing out awards. A man who every single solitary day, walks out the door at closing time and yells, "Stick a fork in me, I'm done." A man who has somehow wound up with the nickname of "Muffin" among his female coworkers. Some of his other shenanigans include tapping a picture of my husband (than new boyfriend) all over the office, including the toilet seat, and dressing up as Flavor Flav, and no, it wasn't Halloween. As you can tell, our little group had a tendency to stray away from corporate etiquette and we loved every minute of it. All that being said, Jay is actually a really sweet guy, a hard worker, and a wonderful husband and father. I think I stayed pretty close to Jay's real personality in my book. I just made him thirty years younger. Mr. Russ - Mr Russ is the school janitor. He's a little on the dirty side and he’s definitely not all there. Again, he is based on a real person, but I can't say his name because I don't want to get sued. When I was working, there was an old man who worked in one of the buildings on the same street. I would run into him at Wawa all the time, and he decided he had a crush on me. Finally, he came in the office one day with a pack of tickets for the Lion King on Ice, and wanted to take me and my children. Ummmm...creepy! Of course I told him as nicely as possible that I couldn't do that, and explained I was in a relationship for the hundredth time. He got a little angry, I got a little freaked out, and thus I had to turn him into the creepy school janitor in my book. His name is different, but his physical description is right on. If you read this book, you'll understand why he made me nervous. Carmen Webber - Carmen is one of Rebecca's best friends. When I created Carmen, I was really thinking about one of my best friends, Viv. I gave her a lot of Viv's personality traits, but when it comes to her looks, I was thinking more about her daughter Sarah. Sarah is closer to Carmen's age. So she sort of wound up being a combination of them both, but she definitely has a little more attitude than either of them. On a side note, their last name is Zarfati, which is also the name of one of the characters in my Destiny series. Debbie O'Neill & Wendy Wright - Both of these girls got their first names from people I worked with. Wendy is the class snob, and there was a girl at one of our offices in North Jersey that always had an attitude when she called. Plus she sounded like a valley girl. I was trying to decide on a name for Wendy and she happened to call that day in a particularly miserable mood, and so she became my b***h. With Debbie, it was more a physical thing. Someone was leading a meeting and she looked exactly the way I envisioned Debbie, so she took her name. Darlene & Matt: Darlene is a good friend and was my former High Priestess before she moved out of state. She opened her arms to me when I was new to the Craft and completely on my own, and I learned a lot from her. When she didn't get "a part" in Destiny, I promised to put her name in Phantom. She took it a step further and asked me to add in her best friend Matt as well. So I made them someone's parents. What's funny is, I never really intended to include any parents in the book, but adding Darlene became a big part of one of my favorite scenes. 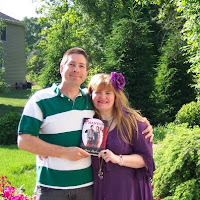 Meeting Darlene & Matt is a fun part of the book, so I can't say too much more. But if you met the real Darlene, you would definitely find that she and her namesake have the same remarkable ability to speak in complete paragraphs without taking a single breath. Tempest: Tempest is a Gothic Belly Dancer. I consider myself truly blessed to have not only met Tempest, but to have shared Sacred Space with her on a few occasions. About three years ago, I was introduced to Tempest through my best friend and coven sister, Donna. She was taking her belly dance class at a local gym, and convinced me to come along. The class was fun, but was nothing compared to watching Tempest perform live. When she begins to move, it’s like she is magically transformed into the Goddess herself. Her movements are fluid and graceful. Her costumes (which she often designs herself) are enchanting. She has created her own version of Gothic Belly Dance that is elegant and breathtaking. It literally brought tears to my eyes. Even as a writer, I find it hard to express just how amazing it is to watch her perform. Tempest is one of the most beautiful women I have had the privilege to meet. It is a beauty that emanates from her soul and is transferred to the fluid movements of her body. All the wisdom of the ages is expressed in the poetic motions of her dance. She is a true artist. Justyn Patko (AKA-Lord Justyn) - When I tell people that Lord Justyn was based on a real person, most of them look at me like I'm crazy. They think he's my imaginary friend. But, nope, he’s is real. Like my character, the real Lord Justyn is a Gothic Pagan who also happens to be a musician and an actor. I have never spoken to Justyn outside of cyber space. We met on MySpace before I met my husband. I don't even remember how. But I do remember how all his notes would have a little old world charm in them. We would talk about books and movies, and, of course, magic and the Craft. He even read Destiny way before it was published. I would be lying if I said I didn't have a little crush on him. But in the real world, when we lived in different states and I was a single mom, there was no way it could have worked. Not to mention the fact that I am several years older, and not really the cougar type. Maybe in another time or another life it could have happened. But in this life, I could only make him into one of the most amazing characters I have ever created. It all started because I was writing him an email while Andrew Lloyds's Weber's musical was playing the background. I started to think how great he would be in the role of the Phantom...one thought led to another, and Phantom was born. Finally, Justyn’s last name came from my friend Jared Patko. He was handsome. He was fun. He was hilarious. He was an amazing artist. He also suffered from severe Bipolar Disorder. In 2009, Jared took his own life. I had just started writing Phantom when this happened, and I wanted to immortalize him in some small way. I had promised him I'd use his name in a book eventually, and he had hoped to draw the cover art. Phantom is also dedicated to Jared as well as the real Lord Justyn. Well, that pretty much sums it up. It’s amazing how even the smallest things that people do and say can touch our lives and bring about inspiration. Whether that's a good thing or a bad thing for these folks will probably depend on who lives, who dies, and who the killer really is. But you'll have to read Phantom to find all that out. I have to wrap up this post with one of my favorite quotes. "Be careful, or I'll put you in my novel!" One Phantom Prize Pack, It includes a signed copy of the book, a geode , two full size boxes of incense, a mini pack of incense with holder, two rough crystal points, a crystal cluster, a crystal pendant, a stone vile pendant, and a sage smudge stick. Q. Please tell us in one sentence only, why we should read your book? A. Because we have all been in love with a person that we thought was greater than us, but in the end you find out their only human. Q. Who are our favorite authors? A. As a child I loved S.E. Hinton and all her books being the Outsiders, That was then this is now, Rumble Fish, Tex etc... I did not realize until later that the “S” stood for Sue and the “E” for Eloise. If I had known the author was a woman from the beginning, I may have never read the books. I do believe although it is contrary that women can write great men characters and men can write great women characters. A. I started writing at an early age. I give the credit to my seventh grade teacher, Mrs. Gowen, because she made us write all the time. The first thing that I ever wrote was a fan fiction piece on Star Wars where the rebels actually stop the Empire from boarding their ship in the opening scene and they kill Darth Vader. I also started my own sports newspaper that had a whopping circulation of one when I was ten. I have since been writing a weekly syndicated sports column in Arkansas for over fifteen years on the side. 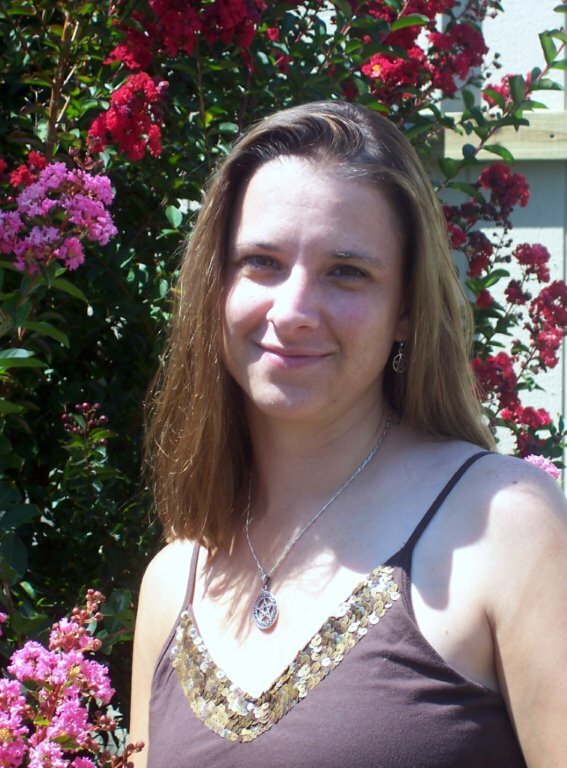 Thank you to Larissa of the Howling Turtle Blog for allowing me to guest post. Stories are published as EmotoSerials orEmotoSingles. EmotoSerials are monthly-released, continuing stories, much like TV dramas or miniseries that continue until their climactic ends. EmotoSingles are individual experiences. Now that you’ve been introduced to the Emotobooks Revolution, I hope you’ll join ourReaders Cult and begin collecting the coolest titles. We even offer free Autograph Cards to our fans. What it really comes down to is we write, edit, and illustrate the best modern fiction for our fans. Without you, we wouldn’t be here. Thank you. Born and raised in Pittsburgh, Pennsylvania, Ron Gavalik is a seasoned freelance journalist and fiction author of the successful Grit City thriller series. As Publisher for Grit City Publications, he oversees the Emotobooks Revolution. Ron holds an M.A. in Writing Popular Fiction from Seton Hill University and a B.S. in Marketing Communications from Point Park University.When not writing, you can find him in the outdoors of Southwestern Pennsylvania on his trail bike, hiking, or fishing.